YouGov poll for Daily Mail finds majority of Scots believe Megrahi should remain behind bars. A newspaper poll has found that support for Scottish independence has fallen since Lockerbie bomber Abdelbaset al-Megrahi was freed on compassionate grounds by Justice Minister Kenny MacAskill. The YouGov poll by the Daily Mail also found that a majority of Scots believed that Megrahi should remain behind bars. The poll, which was carried out between Monday and Wednesday this week, found that 51% opposed the move to release Megrahi, 43% saying that it was the right decision. As for the future of the Justice Minister, 32% said the decision was wrong and he should resign, while 20% who disagreed with the move thought he should keep his job. While Alex Salmond remained the most popular choice for First Minister, his support had fallen from 36% to 32%. On the question of independence, it found that 28% would vote in favour of independence, while 57% would vote no. 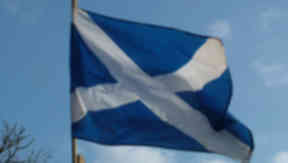 In comparison, a poll in July 2008 showed 36% backing independence, and 48% opposed.